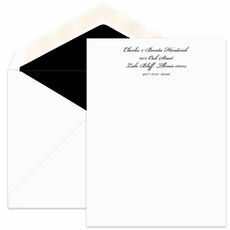 A delightful set of 50 sheets with blank envelopes in your favorite raised ink. Size is 6.25" x 9.25". 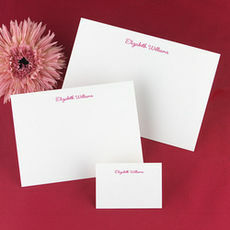 You select your favorite raised ink color on ecru or white stock. 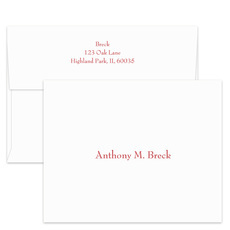 flat printed return address and envelope lining available on envelopes. 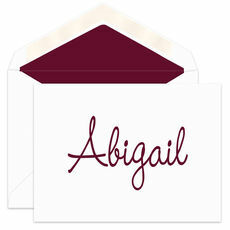 Positioning and typestyle only as shown. 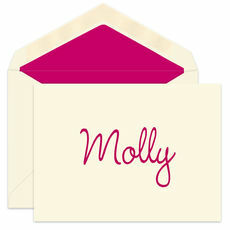 Sample shown on White Stock with Fuchsia ink and optional Azalea Glossy lining.